The HH240 Henry's Handi Handle by Unger is a great way to give yourself a little extra reach for quick cleaning jobs! 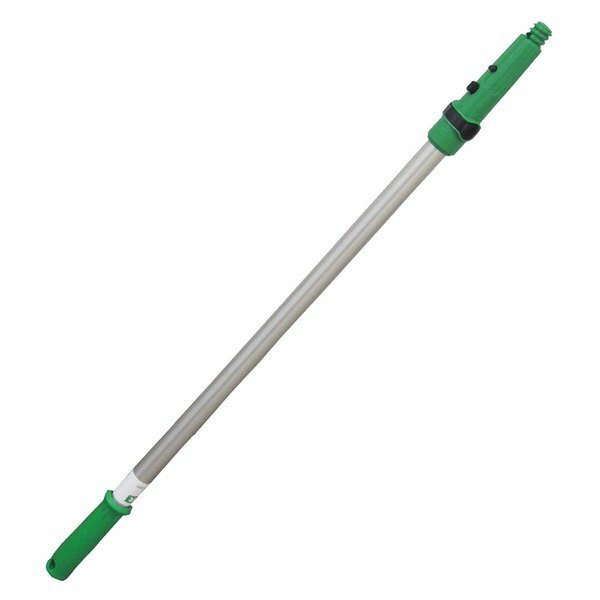 This durable pole is two feet long and includes a nylon cone adapter to attach many Unger tools. Tools screw onto the ACME thread of an Unger cone. Poles with this symbol can fit any Unger attachment that also has this symbol. Unger attachments with this symbol will fit any Unger pole with this symbol. 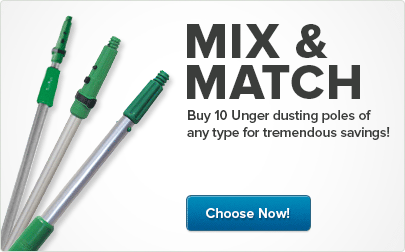 Tools snap directly onto Unger telescopic poles. Poles with this symbol can fit any Unger attachment that also has this symbol. Unger attachments with this symbol will fit any Unger pole with this symbol. This stubby pole is the perfect size for a duster. We attached a lambswool duster to it and use it to clean the legs and bases of chairs and other furniture. A well built and sturdy dusting handle attachment. It is great for attaching dusting head for an extended reach. The handle has a great grip and is well designed.